While I have some pockets of free time since classes ended, Mr. Prevention has been on my case about getting up-to-date with all of my “preventative wellness” exams. I would say this is because he cares, but it’s because his insurance plan incentivizes regular “preventative maintenance”. I’m not opposed to this, obviously, but the little things add up and the little things + major life changes = stress. Besides, who wants to go to the dentist? “My husband’s insurance is requiring it…and, my LDL (bad cholesterol) was a bit high.” I said. “Your LDL was 110, that’s great!” she remarked. She stared back. “Your LDL is fine, it should be less than 130…and your triglycerides were excellent!” she exclaimed. I agree with her about the tri’s, but the LDL, we will have to agree to disagree. What can I say? I like cheese, and I will be curious to see if my triglycerides have remained low, my HDL has remained high (it was in the 70’s! ), and my LDL has come down a bit. My doctor didn’t let it slide that I had gained 3 lbs, however. This is 100% due to my recent visit up to Seattle. Other than my hike that left me waddling for DAYS, I basically sampled all that there was to sample in Seattle and did nothing other than walk. Time to get busy on getting those pounds OFF! Coincidentally, I chose this light meal from my assigned blog, Sunny Side Up in San Diego, one of my favorite blogs written by one of my favorite people. It was recipe swap time again — Blogger’s Choice, and this recipe from Jessica immediately caught my eye. There is something about stuffed potatoes that simply never gets old and her spin with basil and chicken was clearly a creative rendition I needed to try out. When I met Jessica at FoodBuzz Festival last fall in San Fran, I recall she and I having very similar palates…and personalities. No wonder I love her so 🙂 She’s blonde and is from Ohio…all the more reason we were bound to be buds. She’s living in China right now with her hubby who is there for work. The fact that she can pull off these types of dishes is seriously impressive. When we lived in Italy, it was hard to make “All American”-style food, but…she’s pulling it off all the way from China. We loved these chicken and basil-stuffed potatoes, and loved even more their calorie count. 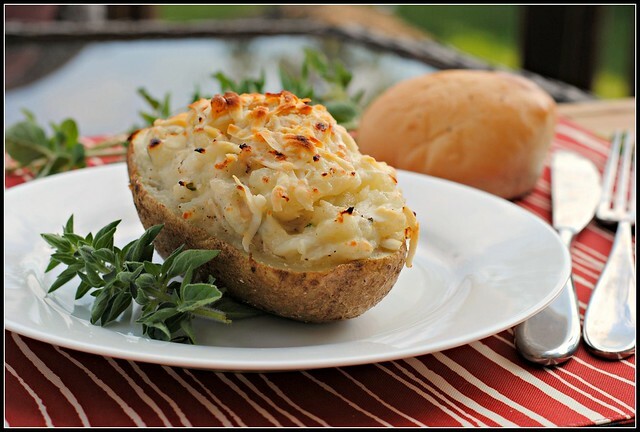 These are extremely filling and 1/2 of a potato with a side salad or vegetable is plenty to suffice a light, delicious meal….a meal that will help me shed my Seattle sins! Preheat an oven to 400 F. Prepare a baking sheet by lining with parchment paper. Scrub the outside of the potatoes, pat dry. Prick each potato with a fork several times, and place on the prepared baking sheet. Mist each potato with olive oil spray and sprinkle with kosher salt. Flip the potatoes and repeat on the other side. Bake for an hour, or until they are tender when pricked. When the potatoes are close to being done, heat olive oil in a large skillet over medium-high heat. Add the onions and saute for 3-4 minutes or until translucent. Add the garlic and cook until fragrant, about 30 seconds. Pour in the half and half and broth. Stir well and bring to a boil, then reduce the heat and let simmer for 10 minutes. 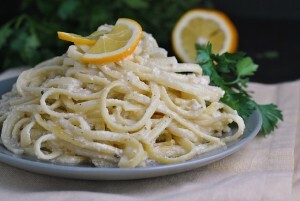 After the sauce has simmered, add the basil, 1/4 cup Parmesan cheese and lemon juice. Taste the sauce and add salt and pepper to taste. Set aside. Once the potatoes have finished baking, cut them in half lengthwise. Carefully scoop out the insides, leaving a thin shell around the edges, then return the shells to the baking sheet. Place the potato guts in a bowl. Use a fork to slightly mash the potatoes. Pour the sauce into the bowl with the potatoes and stir to incorporate. Add the cooked shredded chicken and stir. Fill the potato shells with the filling, sprinkle with the remaining Parmesan cheese, and return them to the hot oven for 10 minutes, switching to the broiler for the last minute or so to brown the cheese. Serve immediately. Result: Delish and different! I used HUGE potatoes (I counted them at just under 300 calories a piece), so to get the calorie count as close to possible, find the biggest ‘taters you can. You can cook and shred the chicken ahead of time for a quicker meal, or even prep and assemble these ahead of time for a super quick weeknight meal. These reheat best in the oven, but the microwave works well, too. Serve with a side salad or veggie for a light, but filling, meal. Enjoy! Today is my last day of work in Ohio and in dialysis. I am split down the middle with emotions- half thrilled for the move and some time off before starting my new job in MI, but half sad to be leaving more great patients and co-workers. I had a most enjoyable afternoon with my students yesterday. They are wonderful cooks and our picnic + hike was wonderful. It was truly one of the nicest things anyone has done for me…so thanks, diet tech students! xo! 3lbs? Should she really be getting on your case for such a trivial amount of weight gain? Welll…if I didn’t have 25 more I need to part ways with, I would agree. I think she was just noting that I was going in the wrong direction :-/ I’m on the case! 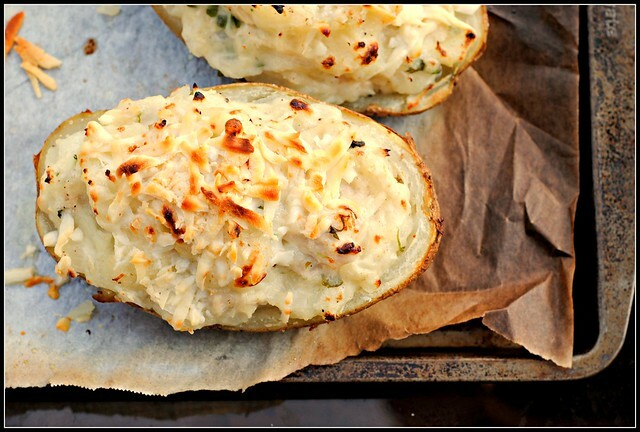 Mmm Ilove twice baked potatoes! Looks delish! As for the LDL, I’m up and down about the repercussions of high LDL. 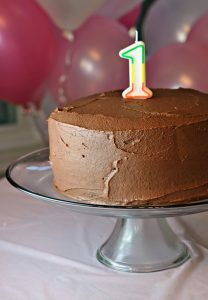 I found this blog post yesterday: http://wholehealthsource.blogspot.com/2011/01/does-dietary-saturated-fat-increase.html and from reading other pieces on the very topic (for about a year now), I really believe that it’s less about cholesterol and more about quality food choices made every day; the imbalance of omega 3; omega 6, trans fats, too many processed food-like products, etc. I dunno. What are your thoughts on this? Where are you moving in MI? Sorry I’ve been MIA on your blog for awhile!! These must be great since two “nesties” posted them in one week. They sound delicious. My husband liked your White BBQ Chicken Potatoes, so maybe I’ll try these on him next. I love when he starts liking food from healthier blogs! It sounds like the appt went well overall. I think as long as you’re eating well like 90/10 then that’s about all you can do. You know what to balance and how you can improve so I have no doubt you’ll do/are doing everything you can. 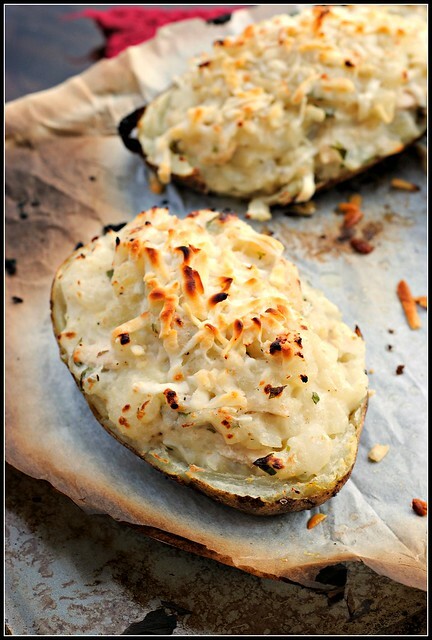 Stuffed potatoes are soooo comforting! 🙂 Mmmmm! Happy last day at work! I know its bitter sweet. Your potatoes look great! I’m so glad you liked them! And what is it about burnt parchment paper that I love so much? It gives such a warm the feeling to photos. Love! 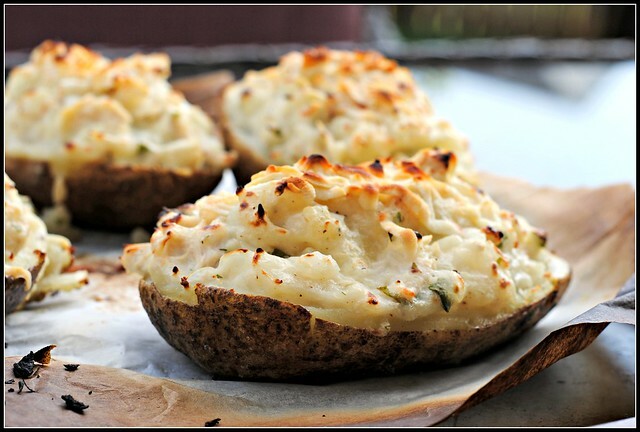 These look excellent – might add it to the rotation and throw some in the freezer! I love the sound of this recipe!!! This post also reminds me I should get blood work. Although mine was good last year, it has been a while. Oh good golly, I MUST make these soon! Yummers…I’m totally going to make these. I think I’ll make the taters on the grill though. I too have been backsliding on watching my eating. It isn’t even the weekend and I’ve already made excuses for myself on why it was totally okay to treat myself to full fat coffee ice cream(non organic to boot)with toffee bits and half a piece of red velvet cake in one day. I know better. One treat would have been acceptable. Both? I probably consumed half of my calories AND I skipped the gym in lieu of driving with hubby. Not good. I need to get back on the wagon. I also get the doctor thing. It seems every time I go to the doctors for one thing I leave with a diagnostic test result for somewhere else that tells me my body is in rebellion. It’s depressing to go for one test only to be told they have no idea why you have symtoms because your tests there are fine but by the way while we were looking THESE tests came back abnormal so we’ll need you to come back. Blech. I avoid the dentist at all costs. But that does mean I try to take excellent care of my teeth on my own. I love turning baked potatoes into a full meal by adding some meat! These look great. I can’t believe your doctor made a comment about 3 pounds – that seems crazy to me since weights fluctuate a bit. We also loved these. I love that it’s a complete meal with a salad or some veggies on the side. Not only does it look delicious, but very elegant, also. Thanks for sharing! These are delicious! Even my picky 3 year old loved them, yea!